Larian Studio's Divinity: Original Sin II arrived on the PC last week, and if you've got questions about how the co-op shakes down, then we've got some knowledge! For once! One quick note about this FAQ, while it was written with exposure to only the PC version of the game (as the console versions are forthcoming), we're assuming many of the features/mechanics will apply to consoles as well. If anything is different on the consoles once those versions are released, we'll update this with the appropriate information. How many players can play Divinity: Original Sin II locally (couch co-op)? How many players can play Divinity: Original Sin II via system link or LAN? How many players can play Divinity: Original Sin II online? 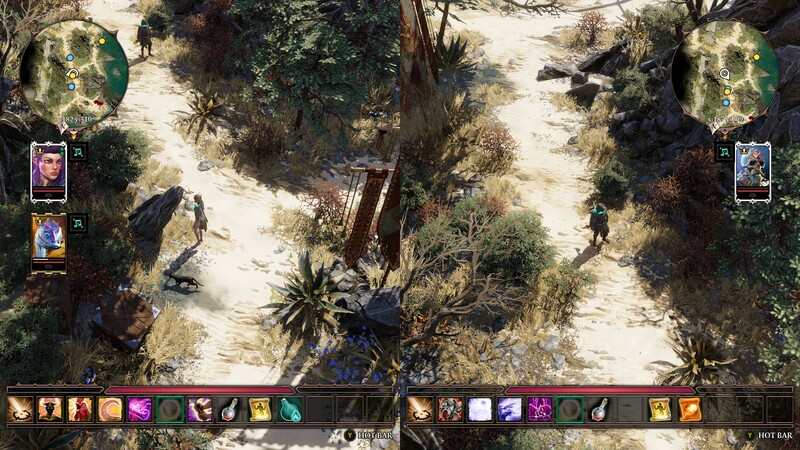 What direction is the screen split in couch co-op for Divinity: Original Sin II? 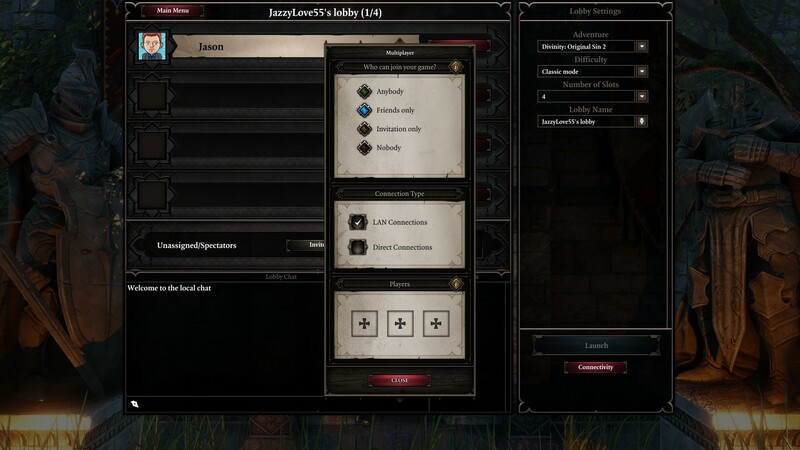 How do you begin a co-op session in Divinity: Original Sin II? What is Game Master mode? How does save game progress work for co-op play in Divinity: Original Sin II? How does loot work for Divinity: Original Sin II? Is it instanced or free-for-all? Can I join a game if the host is further along than me in Divinity: Original Sin II? Are there any restrictions for joining a host's game? Is a PS Plus Subscription or Xbox Live Gold account required for online play on the consoles? Divinity: Original Sin II supports two players locally. Couch co-op is also supported on the PC version of the game, but you must start the game with at least one controller turned on, i.e., don't start it using keyboard/mouse. Divinity: Original Sin II supports four players via LAN for the campaign. Five players are supported in the Game Master mode with one player assuming the role of the Game Master. 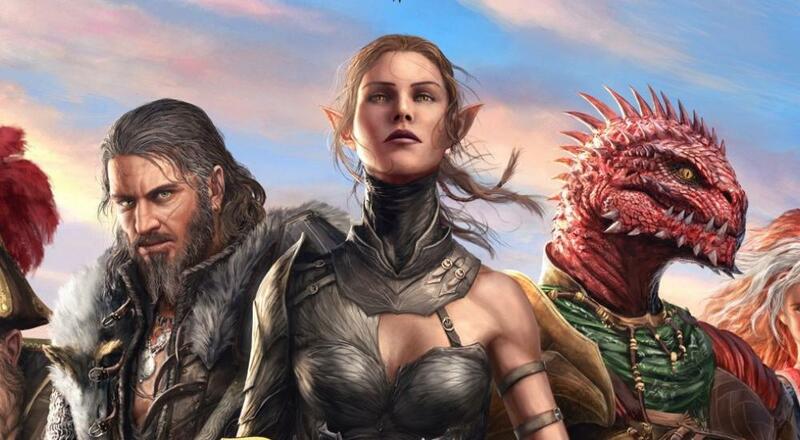 Divinity: Original Sin II supports four players online for the campaign. Five players are supported in the Game Master mode with one player assuming the role of the Game Master. 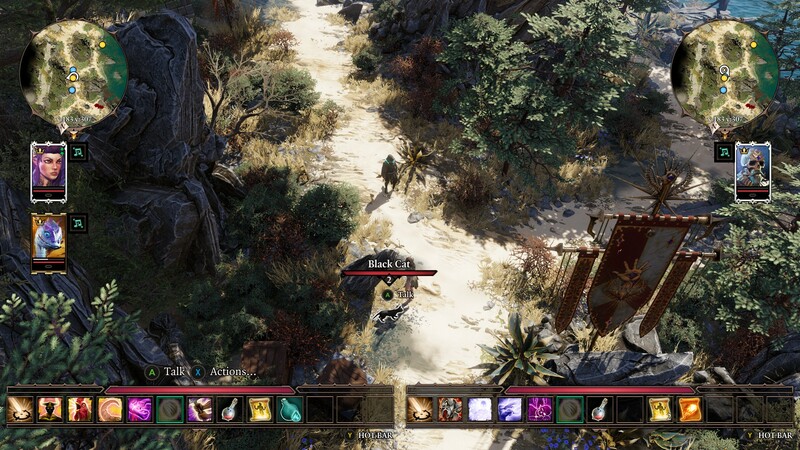 Divinity: Original Sin II supports a maximum of four players for the campaign in any configuration of local, LAN, and online. For instance, two players playing together on the same PC could have a third player join via LAN and a fourth online. Five players are supported in the Game Master mode with one player assuming the role of the Game Master. The screen splits vertically when playing locally. It is also dynamic, meaning that if players are within a certain distance of one another, the screen will be whole, but when they move apart the screen will split. 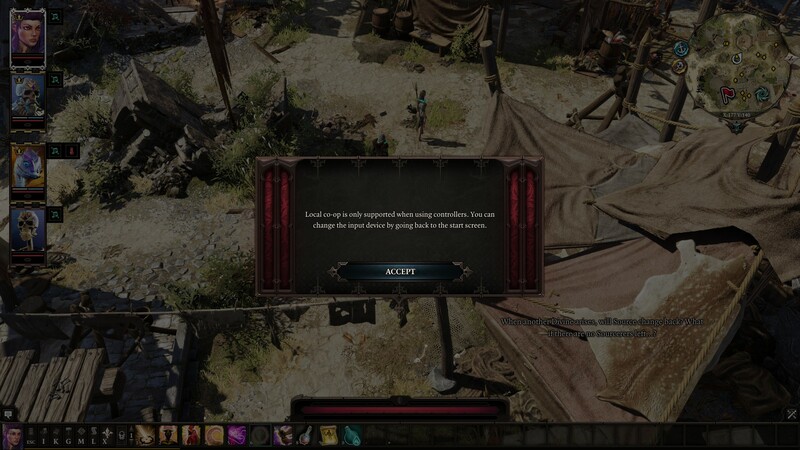 To setup a new co-op session for the main Divinity: Original Sin II campaign, from the main menu, you select "Story", then "Multiplayer," and "Create." This will take you to the lobby screen where you can specify who can connect to your game (Anybody, Friends Only, Invite Only, Nobody), invite friends, set the difficulty, etc. You can also invite spectators to your game if you have friends who want to watch you play. After players are invited and everybody readies up, the host can click "Launch" to take everyone into the Character Creator so everyone can make their own playable character. If you've already created a co-op session, then the host just has to load the appropriate save and the other players can search for it in the "Multiplayer" menu, or the host can invite them. For the Game Master mode, the Game Master will need to create the game and invite players into it. Game Master mode is, essentially, a tabletop RPG campaign. One person acts as the Game Master and creates a scenario for a group of people to play through. This includes creating quests, NPCs and their dialogue, quest rewards, maps on which these adventures take place, enemies to fight, etc. Basically, if you've ever played Dungeons & Dragons or any other kind of tabletop RPG, this is like those, but digital and using Divinity: Original Sin II's assets and rules. Additional info about this mode can be found on the game's website. For the story campaign, all progress, including player created characters, is saved to the host's machine. Players that join the host's game cannot take their character, their levels/skills, or their inventories back into their own game. For example, Billy and Adrienne are playing through the campaign together online and Adrienne is the host. Billy creates an elf conjurer while Adrienne creates a dwarf paladin. They play for a couple hours one night before deciding to pick it up another day. The elf conjurer that Billy created resides solely on Adrienne's machine and Billy cannot play that character unless he is playing in Adrienne's game. As the host, however, Adrienne could play through the game without Billy and use Billy's character. For Game Master mode, all progress is saved on the Game Master's machine. Everything that can be picked up in the game, including gear, skill books, various items/objects, can be done by anyone playing. In other word, it's a free-for-all. That said, players can freely trade items back and forth so if your warrior picks up a wand your wizard could really use, they can give it to them. Absolutely. While you will not be able to create your own character and join a friend's game if the friend starts a multiplayer campaign on their own, you can play as one of the playable characters they have recruited in their journey. Outside of whatever connections to the game the host allows (i.e., Friends Only or Invites Only), the only other restriction comes from how the host began a multiplayer session. If a host starts a multiplayer game on their own (i.e., other players are not invited before the game is created and therefore have not created their own playable characters), then friends can only join the host's game once the host has found and recruited other characters within the game world. The playable characters you can recruit into your party are as follows: Beast, Ifan ben-Mezd, Sebille, the Red Prince, Lohse, and Fane. If a host has only recruited one of those characters, then only one person can join the game. If a third person tries to join, they will get an error message. 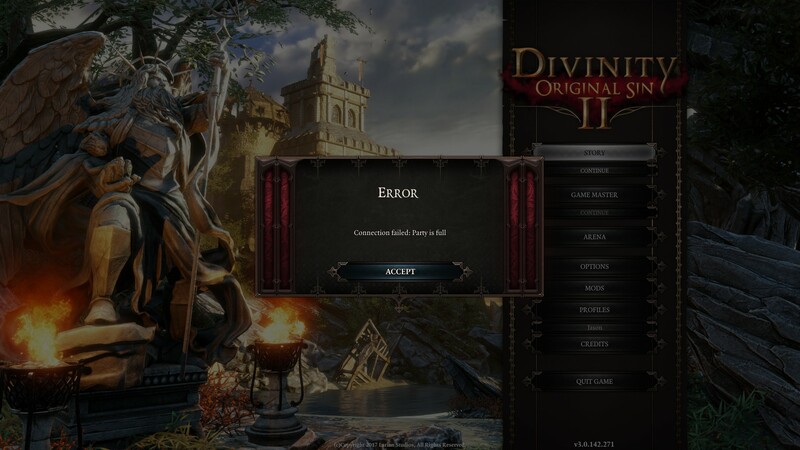 While Divinity: Original Sin II is not currently available on the consoles, we assume you will need the appropriate paid subscription to play with others online. Page created in 0.6393 seconds.